I am not sure where the inspiration for these honey, almond and cheese sandwiches came from. It may have been a recipe I saw years ago and filed away to the back of my mind or it may have been a pure creative genius. Not sure. But, for some reason I decided that I needed to melt some cheese on bread, top it with almonds and rosemary and then douse the whole thing in honey. This sandwich is unique and totally incredible. Bread and cheese has always been my weakness but adding the almonds and the honey takes it over the top. Have I mentioned how much I am loving honey these days? I have been putting it on everything. This is a really big shift for me because I have never really liked it much. But, something changed. I have been putting honey on my oatmeal, my yogurt, in my smoothies, in my curry recipes, and now, on my bread and cheese. The kids started school this week and I had sandwiches on my mind so this was dreamed up, developed and devoured all within a matter of hours. I wouldn’t recommend sending this to school lunch because a) it tastes better warm and b) the honey makes a bit of a mess. 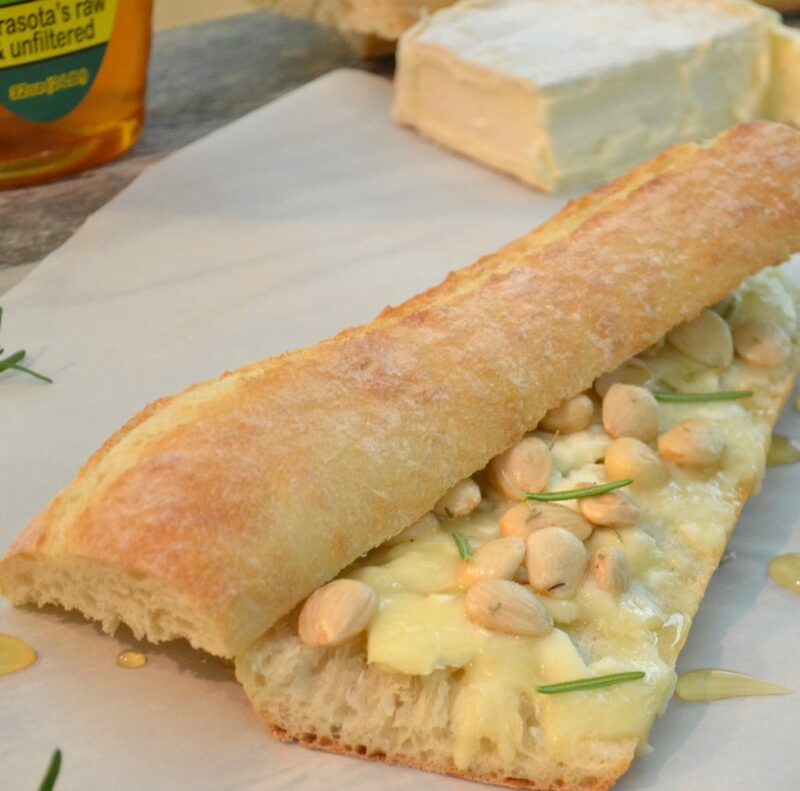 This whole sandwich was a result of a Trader Joe’s run……..Camembert cheese, baguette and their amazing marcona almonds with rosemary. The rosemary came from our garden and the honey was local to Sarasota (great for fighting off allergies). 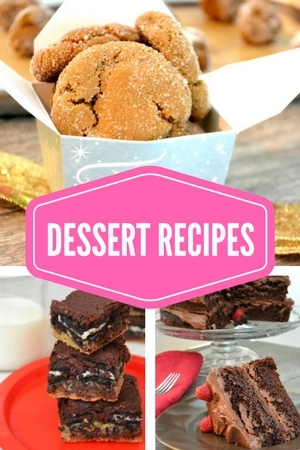 For best results, serve with a chilled glass of white wine, a sunny day and some pool time. Toast until cheese is just slightly melted. Sprinkle with almonds and rosemary sprigs. Top with the other half of the baguette and cut into desired size sandwiches. One baguette is usually about four sandwiches.